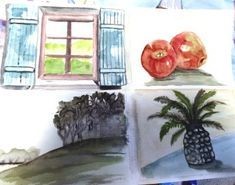 Art lessons in watercolors, drawing, cartooning and pastels for groups or individuals. C.halk pastels are fun and easy to use. We'll complete at least 2 projects during this one hour class. Chalk can aggravate asthma type conditions. Water, Water, & More Water- Like crayons but like oil painting, oil pastels are easy to work with but create interesting results. We'll complete at least 2 projects during this one hour class. 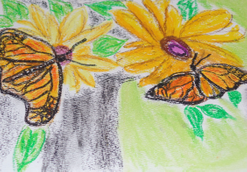 Butterflies & Flowers in Oil Pastels- Like crayons but like oil painting, oil pastels are easy to work with but create interesting results. We'll complete at least 2 projects during this one hour class. Winter Whites in Oil Pastels-Like crayons but like oil painting, oil pastels are easy to work with but create interesting results. We'll complete at least 2 projects during this one hour class. Painting the Southwest in Watercolors- We will complete at least one painting and more if time permits. 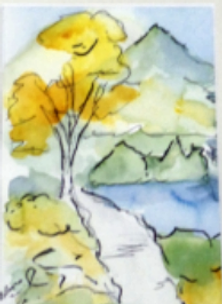 Learn to Paint in Watercolors Sampler- We will paint a number of smaller sampler paintings as we practice techniques of watercolor painting. 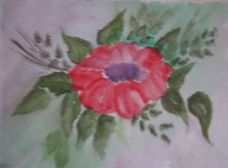 Painting Flowers in Watercolors- We will complete at least one painting and more if time permits. Boats on a Lake in Watercolors-We will complete at least one painting and more if time permits. Japanese Watercolor and Ink- We will complete at least one painting and more if time permits. 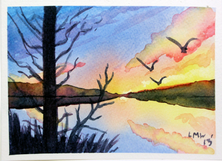 Sunset Scenes in Watercolors- We will complete at least one painting and more if time permits. 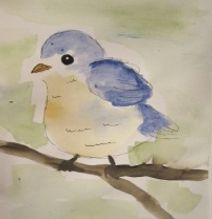 Painting Birds in Watercolors-We will complete at least one painting and more if time permits. 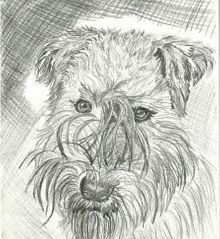 Drawing Pets Sampler-We will complete at least one drawing and more if time permits. 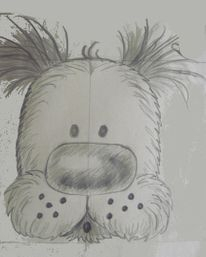 Learn to Draw Cartoons- We will practice cartooning animals, people , & other objects in this learn to cartoon class. Colored Pencils Worshop-We will complete a number of drawing during the one hour class. 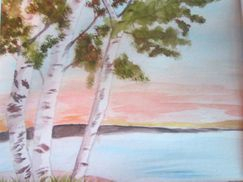 Learn to Paint Watercolors Multiple Sessions-A workshop that can be set up to cover a number of weeks to teach basic watercolor skills and produce a number of samplers and complete paintings. Chalk pastels are fun and easy to use. We'll complete at least 2 projects during this one hour class. Chalk can aggravate asthma type conditions. 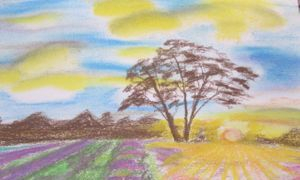 Nostalgic Fashion-Oil Pastels- Like crayons but like oil painting, oil pastels are easy to work with but create interesting results. We'll complete at least 2 projects during this one hour class. 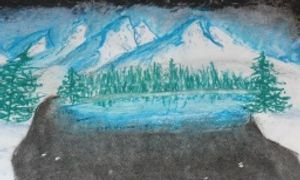 Wild Landscapes in Oil Pastels- Like crayons but like oil painting, oil pastels are easy to work with but create interesting results. We'll complete at least 2 projects during this one hour class. 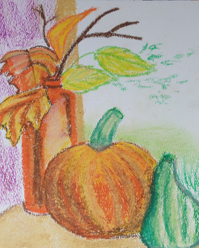 Fruits of the Fall in Oil Pastels-Like crayons but like oil painting, oil pastels are easy to work with but create interesting results. We'll complete at least 2 projects during this one hour class. Painting Pumpkins in Watercolors-We will complete at least one painting and more if time permits. 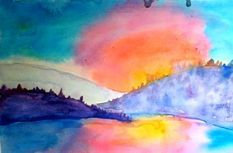 Sunsets and Water- Watercolor paintings. We will complete at least one painting and more if time permits. 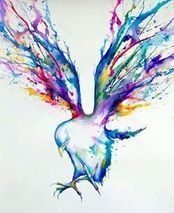 Fantasy Birds in Watercolors- We will complete at least one painting and more if time permits. 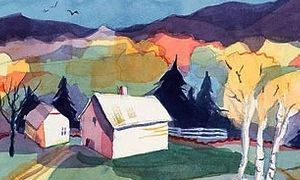 Farmhouse in Watercolors- Class will concentrate on painting one major project. 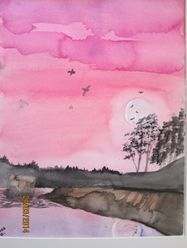 Flight Over Water in Watercolors-We will complete at least one painting and more if time permits. 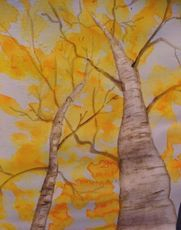 Looking up-Birch Trees in Watercolors- We will complete at least one painting and more if time permits. 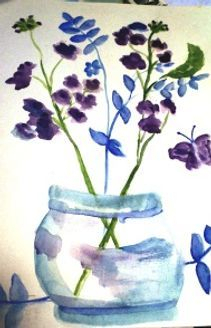 Flower Sampler in Watercolors -We will complete at least one painting and more if time permits. 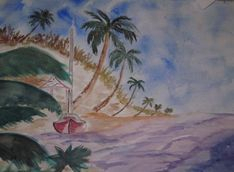 Painting in the Tropics in Watercolors-We will complete at least one painting and more if time permits. 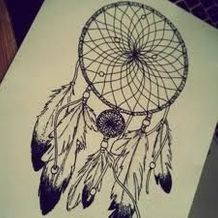 Drawing Native American Symbols-We will complete at least one drawing and more if time permits. 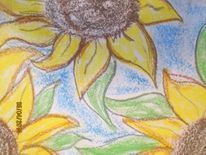 Doodles & Tangles-Learn to doodle in an artful, creative manor to help release our latent talent and enjoy a relaxing art form that anyone can be successful with. 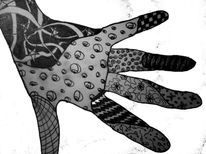 Learn to Draw Nature's Beautiful Creatures- We will complete a number of drawing during the one hour class. 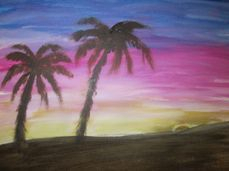 Acrylic Painting Class- Visit the acrylic painting page for information and examples of paintings.